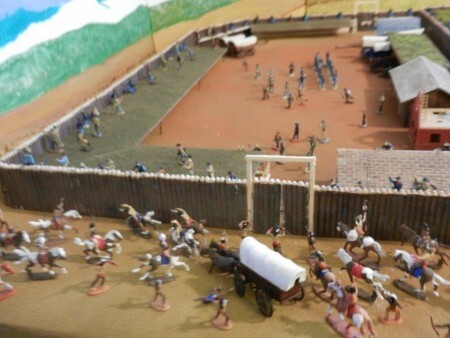 Fantastic custom diorama of the Pea Ridge battlefield! 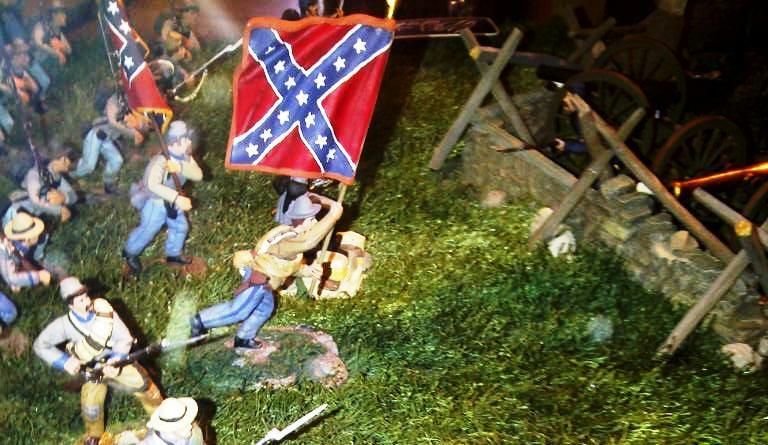 Cannonball reader Stephen Schultheis sent me some photos of his fantastic diorama of the Civil War battle of Pea Ridge, fought March 6-8 in northwestern Arkansas. 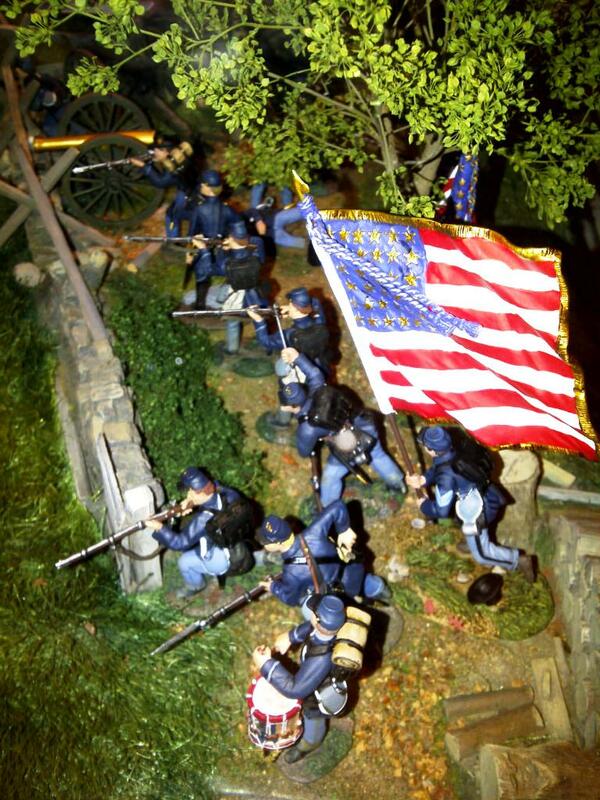 The Union victory essentially allowed the Federal armies to recapture and hold the region for the rest of the War Between the States. Here are some more photos, plus commentary from Stephen! This poses an interesting dilemma for Colonel Carrington; does he accept the surrender of one band of 50 while still being attacked from the outside by over 1500 warriors. 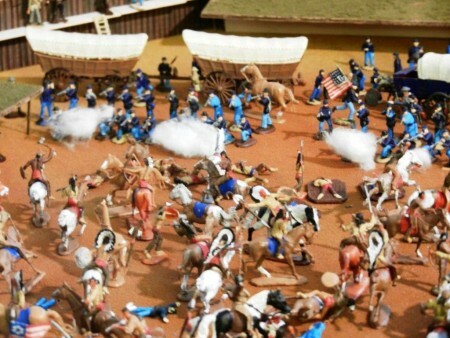 With the QM gates now closed behind them, the Sioux warriors inside the QMY quickly realize that they are cut off from reinforcements. 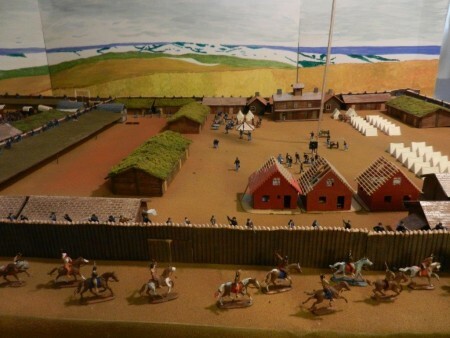 Likewise, the much larger contingent of Sioux still outside the stockade see their pathway into the fort extinguished. Both groups continue the fight with renewed fury. With the cavalry troopers now intermingled with the Sioux, the usefulness of the mountain howitzer is ended; however, it has played a critical role in preventing the incursion from overwhelming the troops and civilians in the QM Yard. 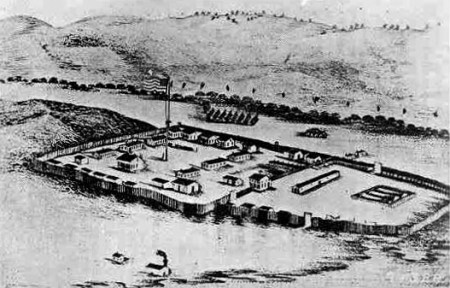 Fort Phil Kearny (shown above in this 1867 drawing) was established in 1866 by Col. Henry B. Carrington. 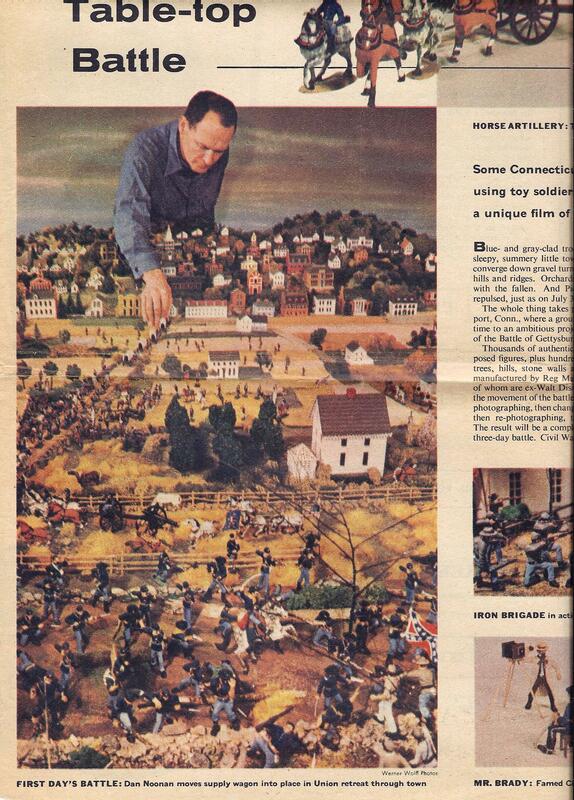 Named for the Civil War general killed at Chantilly, it was only in use for two years before being abandoned in 1868. 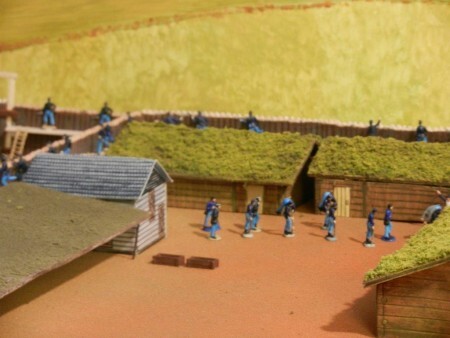 Wargamer and dioramist Steve Miller has been providing an illustrated narrative of the miniature Battle for Fort Phil Kearny. Click the following links to read Part 1, Part 2, and Part 3. 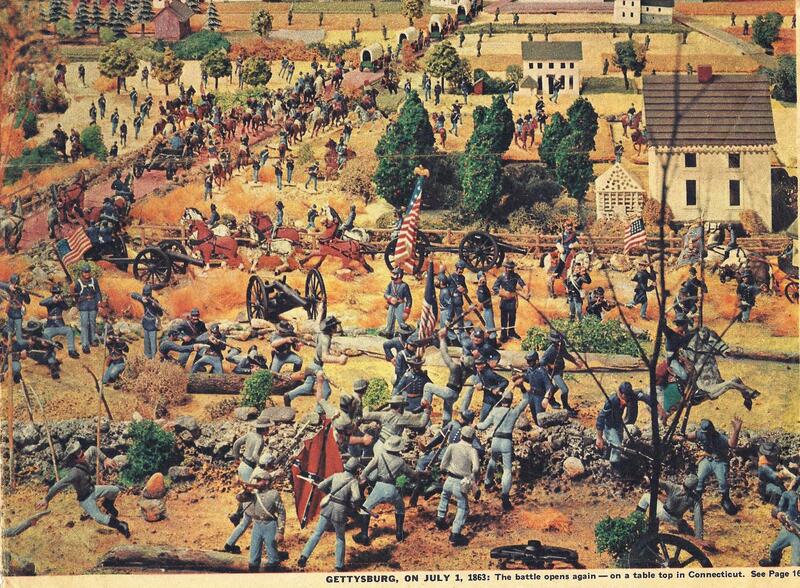 We continue with Steve Miller’s interesting illustrated narrative of the Battle for Fort Phil Kearny. Here are links to Part 1 and Part 2. In the melee that follows, Grummond’s platoon suffers over 50 per cents casualties, with Grummond and 6 others wounded and 5 killed outright. However, before he falls back with the wounded, he and his men have bought the command 10 precious minutes by their sacrifice. 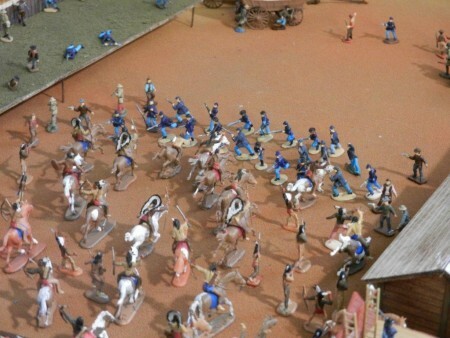 Steve Miller has been kind enough to send us a running narrative and images of a miniature battle for Fort Phil Kearny. 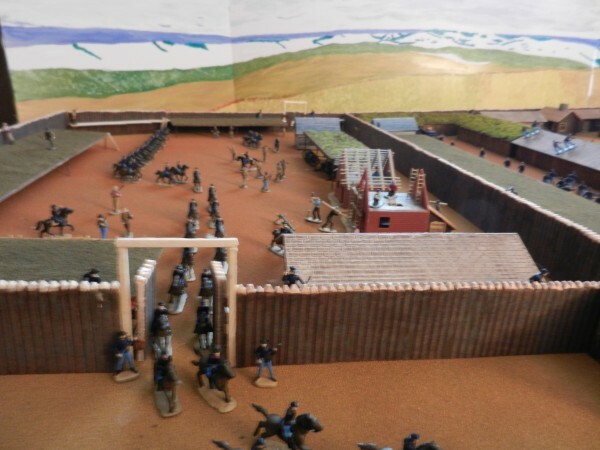 In Part 1 of this series he set the stage for the action, giving a description of the fort and the unrest with the local Native Americans. 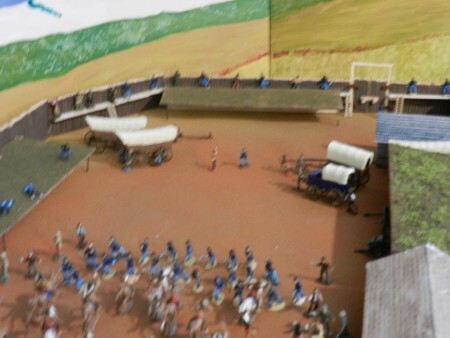 Several wagon trains of wood cutters have been attacked and now the natives are eying the big fort. All has been quiet, so far. 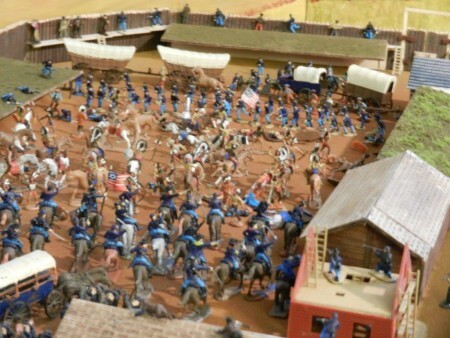 Then just before noon, a large band of Sioux surge toward the QM gate.